Covering Philadelphia sports is something I’ve dreamed about since I was a kid. It was a dream of mine that was inspired by morning trips with my dad from Oxford to Delaware County listening to WIP. So this shy, quiet, kid from Oxford decided to go after that dream. I attended East Carolina University, where I was lucky enough to work for a sports station 94.3 The Game. There I would often talk about my goal of working in Philadelphia and they told me about someone else who had the same goal as I did. That was the first time I heard the name, Sean Brace. It’s incredible that a few years later, after admiring Brace and Philly Influencer from afar, I will now be writing for this great site covering the Philadelphia Phillies. Couldn’t ask for a better time to be writing about the Phillies, too. There’s an excitement surrounding this team that’s been missing for several years. What makes it even more exciting for me, is I get to watch it all happen while working as an Associate Producer for SiriusXM Fantasy Sports in Washington D.C. If you walk Bryce, you’re going to have to deal with Rhys. No matter what happens, it’s going to be a fun season and I’m glad I get to enjoy it with Philly Influencer. 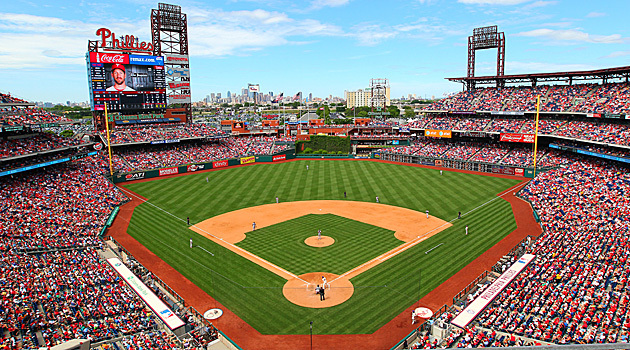 If you want to talk Phillies or WWE, find me on Twitter (@jjansen34)! You can also catch me at a metal concert, or find me wherever Gypsy Wisdom is playing. Look forward to a great season with everyone!